Whenever Wall of Junk blocks, return it to its owner's hand at end of combat. multimedia on Super Defense Control! Need Help Thinning Deck! 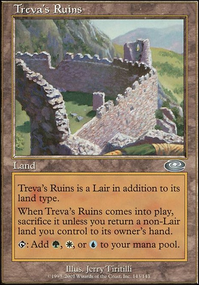 Some ideas in no particular order, and by no means should you use all of them: Fell the Mighty, Meekstone, Beast Within, Song of the Dryads, Tamiyo, Field Researcher, Garruk Wildspeaker, Vivien Reid, Primal Rage, Archetype of Imagination, Leyline of Anticipation, Throne of the God-Pharaoh, Concordant Crossroads, Enlightened Tutor, Back from the Brink, Reinforcements, Return to the Ranks, Teshar, Ancestor's Apostle, Tree of Redemption, Wall of Frost, Wall of Ice, Wall of Junk, Wall of Shards. I'd cut Venser, the Sojourner, Mystic Remora, Sylvan Library, Natural State, Mana Leak, Preordain, Ponder, Fragmentize, Beast Whisperer, Elesh Norn, Grand Cenobite, Orator of Ojutai, Portcullis Vine, Logic Knot. I will note, it looks like you're playing in a highly competitive meta (Ponder, Sylvan Library, Flusterstorm, Carpet of Flowers, etc). My alterations are decidedly for a slower meta, because in my experience combat victories are a function of the speed of your opponents. Regardless, I have no idea how Arcades functions in cEDH, so take all of my recommendations with a grain of salt. 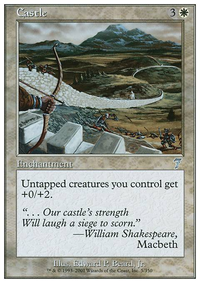 Hey, I suggest playing defender Walls/creatures who are mana dorks: Overgrown Battlement, Wall of Roots, Sylvan Caryatid and Vine Trellis. These defenders can actually do something (make mana) if you don't have Arcades in play and they can first help to ramp into Arcades as well as give you mana to help to cast a two drop Wall the turn you play Arcades. 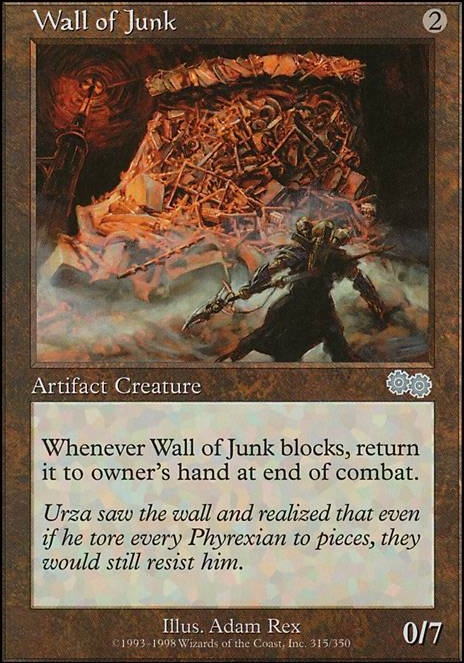 Wall of Junk has nice interaction with Arcades, 7 power two drop and as long as you keep blocking with it you can keep playing it and drawing a card. Don't cut Wall of Mulch you can take advantage of it with Walls with cards like Dusk // Dawn. I would suggest changing out some of your creatures for cheaper costing artifact creatures like Wall of Junk Shield Sphere and Ornithopter which I see that is in your maybe board. Having more artifact creatures that you can stack the search is always a good thing. Maybe include Dazea good counter spell that you can use when you're Tapped Out. Also Swiftfoot Boots or some type of protection for your commander. I play him as a commander as well but competitive so when I read your description I was sure the great machine was speaking of walking Ballista but I don't see that on here so which card is the great machine? I'm just curious cuz I don't see the cards for any of the win conditions that I'm familiar with. You may also try Scroll Rack for top-deck manipulation. Imagine constantly putting a Wall of Junk on top of your library for constant life-gain. Wall of Junk: definetly better than some walls I already have in there, I'll put it in! Living Wall: It is indeed quite good, since I face a lot of board wipes. Dragon's Eye Sentry: It is indeed a nice one drop, but his toughness is not as big as I would like it to be. Wall of Mulch: I think this would be a nice addition, since we have quite some board wipes in my meta. I could sacrifice everything in response. Wall of Kelp:I've also considered this card already, and I might try it out. I'll put it in the maybe board for now. Amaranthine Wall: Same as Living Wall, I'll put it in the maybe board. Hornet Nest: Now this is a nice card! I play against multiple atraxa's, so the 1/1 flying deathtouch will really help. Builder's Blessing: I don't have a lot of cards that give vigilance, and I'll be attacking most of the time, so probably not. Tower Defence, Solidarity and Bar the Door: I considered cards like this, and I might put in one, but I'll mostly rely on Tetsuko Umezawa, Fugitive and Sidar Kondo of Jamuraa. I don't have more time now, I'll finish the list later. The list is a lot larger than I had first intended it when I wanted to comment... Anyway, seeing as how I'm thinking of building an Arcades myself, I thought I'd share some cards of interest !